Includes blue cheese or ranch. Please allow 15 minutes cooking time. We don’t use pre-cooked frozen items! 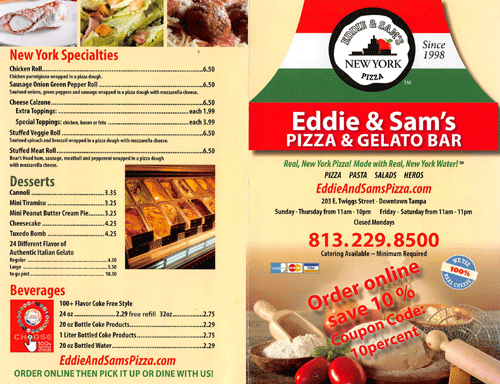 Copyright © 2019 Eddie & Sam's N.Y. Pizza. All Rights Reserved.